The Brush High School Boys Varsity Basketball team took its undefeated season record into a highly touted matchup against nationally renowned Spire Institute Basketball Academy earlier this week, coming up short by a tally of 82 – 61. The contest drew a capacity crowd of nearly 1,400 spectators, media from all over the country and a host of college basketball coaches from throughout the country and all divisions of play. 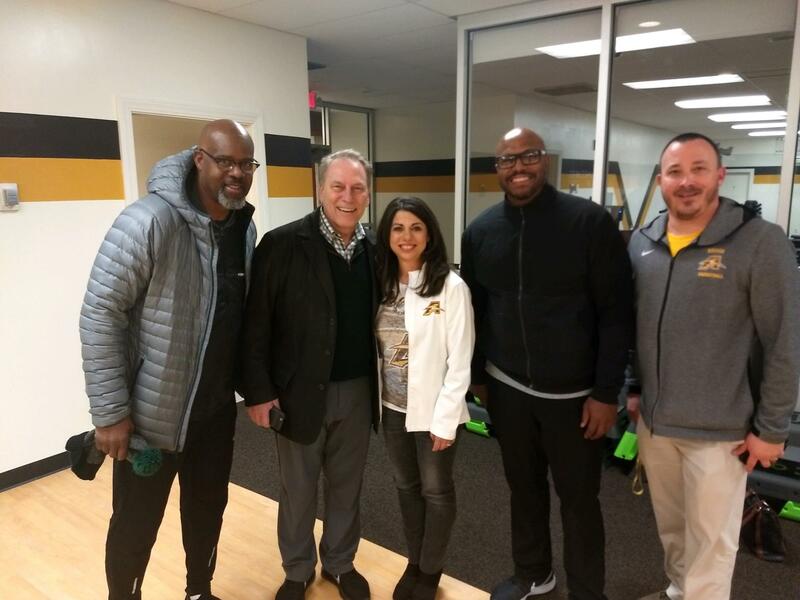 One special guest was Tom Izzo, Head Basketball Coach at Michigan State University who not only watched the basketball game in Welser Gymnasium, but also had the opportunity to tour our Arc Fit Health and Wellness Facility with Superintendent Linda N. Reid and High School Principal Karl Williamson. 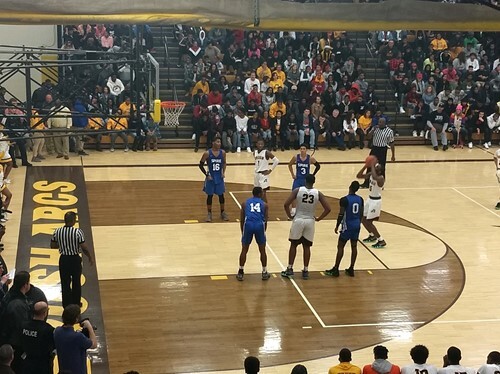 Despite the loss, Coach Chet Mason and his Varsity Basketball team remains one of the top ranked teams in Northeast Ohio and the South Euclid Lyndhurst Schools congratulates the team on a hard fought, competitive game against a team featuring some of the very best basketball talent in the country.